As Ed Balls, Anita Rani and Osi Umenyiora make their way to the summit of Kilimanjaro as part of this year's Comic Relief, our own Jeremy Gane was interviewed by Rachel Houghton on BBC Radio Wiltshire about the first Kilimanjaro climb in support of Comic Relief that took place in 2009, and on which he served as project manager. In the 10-minute interview, Jeremy discusses his experience of leading the team of celebs - which included Gary Barlow, Cheryl Cole, Fearne Cotton, Alesha Dixon, Ronan Keating, Chris Moyles, Ben Shephard, Denise Van Outen, and Kimberley Walsh - to the top of Africa's highest mountain, and about Kilimanjaro more generally. 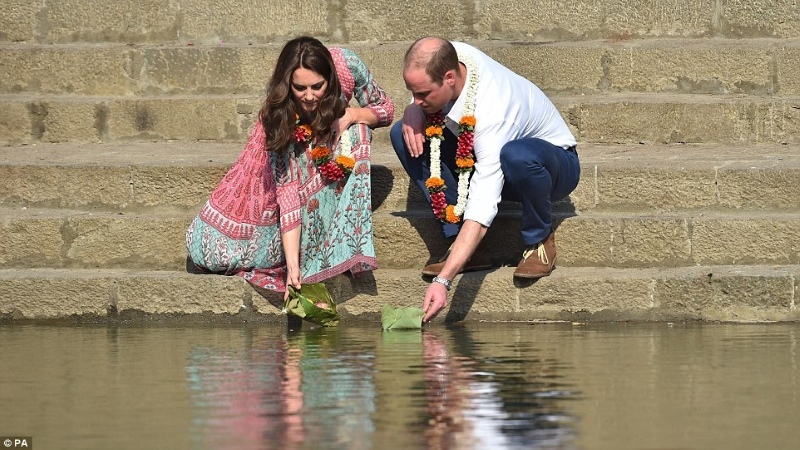 India is top of the travel news this week, with Prince William and Kate Middleton's royal tour, as well as the wonderful news of an increase in tiger numbers (the first reported rise in over a century!) catching the headlines. Our India expert, Sarah Williams, was on BBC Radio Surrey this morning to discuss what makes India such a wonderful country to visit. Our unique climb to the summit of Kilimanjaro features prominently in Daily Telegraph's "50 Greatest Adventures on Earth", appearing at the top of the Africa category! What is the North Face route? The North Face is a new wilderness route to the summit of Kilimanjaro offered exclusively by Gane and Marshall. It sees you ascend the mountain via its rarely trodden northern slopes, before cutting through the crater to Uhuru Peak, the summit. Uniquely, the summit climb is done in daylight. Opened in 2017 and with the first open groups departing in 2018, the North Face route offers an entirely new perspective on this classic climb, and we're delighted to see it featured so prominently in the Telegraph! See our Kilimanjaro North Face itinerary page for more details. Expert Ethiopian guide Zablon Beyene features in this week's Sunday Times. Zablon Beyene is an authority on Ethiopia's Historic Route and on Ethiopian history and culture more generally. In his interview with Chris Haslam, he discusses the opening up of the border between Eritrea and Ethiopia following the peace agreement of July 2018, and what this means for tourism to the region. Zab previously worked with us to set up and guide our Ancient Ethiopia small group tours, which we operated in 2015 and 2016 to coincide with the Ethiopian Orthodox celebrations of Meskel, Palm Sunday and Timket. Since then, Zab has worked with us to prepare private escorted tours for a number of our clients. If you'd like to discuss a private itinerary to Ethiopia, to be led and guided by Zablon Beyene, please get in touch with our staff on 01822 600 600, or info@ganeandmarshall.com. Gane and Marshall are the organisers of the upcoming headeast extreme cycle challenge. In December 2016, Y.CO Co-Founders Gary Wright and Charlie Birkett will take on the headeast challenge with Rugby World Cup Winner Lewis Moody MBE, explorer Alan Chambers MBE and 3 other rugby stars. 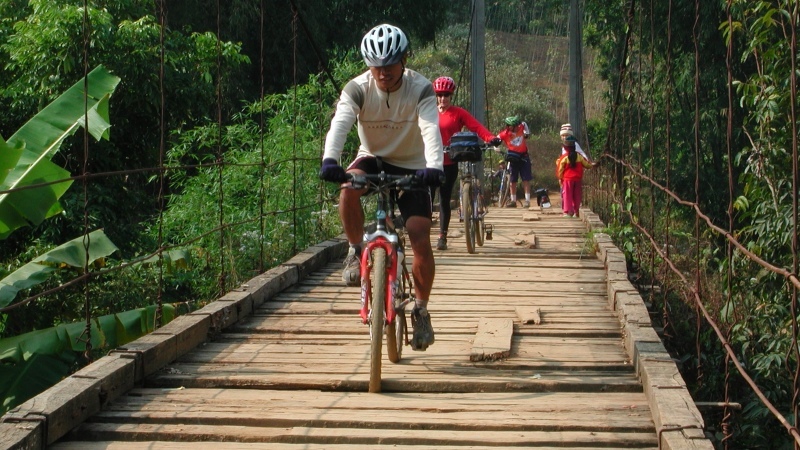 The event will see the team embark on an extreme 1,000km cycle challenge over 10 days, travelling from Saigon in southern Vietnam to Angkor Wat in northern Cambodia, cycling up to 130km per day. The route takes in steep mountain climbs of up to 1,500 metres above sea level, dense jungles and remote temples, in humid conditions and temperatures of 30-35ºC. The headeast event follows our 2015 headnorth Polar Expedition in which Y.CO staff raised over €250,000 for charity. This time, the team aims to raise over £75,000 for The Lewis Moody Foundation, which helps fund the HeadSmart campaign to raise awareness of the symptoms of brain tumours, ensuring children are diagnosed quickly and receive lifesaving treatment before it’s too late. Visit the headeast website to learn more. Tigers on the rise! Tiger populations recovering. For the first time in a century, tigers are on the increase! This is the wonderful news to be taken from the latest WWF survey, which suggests that the number of wild tigers has grown from an estimated 3,200 in 2010 to 3,890 today. With the recent news that Cambodia is looking to reintroduce tigers to the forests of Mondulkiri in the coming years, the outlook for wild tigers is beginning to look more positive after years of negative news. 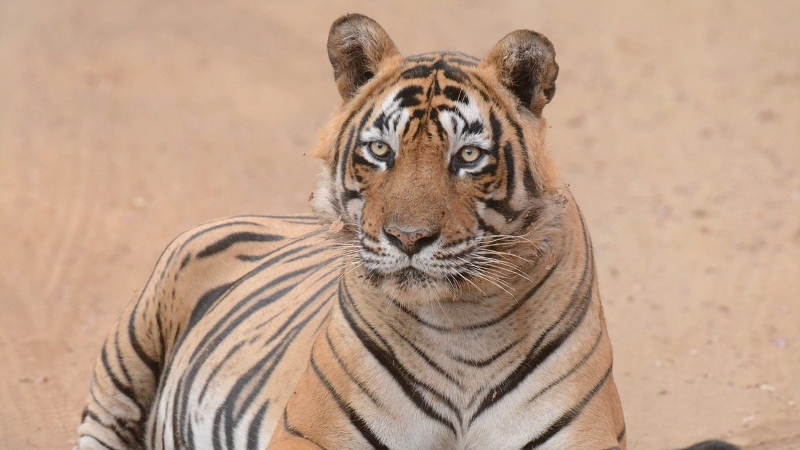 The efforts of conservationists have been crucial to seeing tiger number rebound, but tourism, too, has played an important role in helping to preserve the natural habitats that tigers depend on, particularly in India. Our Into the Arctic with Alan Chambers and North Pole expeditions featured in this weekend's Telegraph in a fantastic article written by Paul Bloomfield. You can read Paul's account of his trip with Gane and Marshall on the Telegraph website. 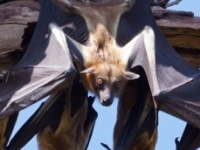 Researchers at King's College London are looking for healthy donors aged 18-40 or 55+ that are travelling abroad and require the yellow fever vaccine, and who are willing to donate 4 blood samples over a period of one month prior to travel. This is a chance to help with important research into how the immune response changes with age, while also receiving your yellow fever vaccination free of charge (normally £85). We know that the immune response to vaccines is diminished as we get older. We are investigating the B cell response to yellow fever vaccination with age and require both older and younger volunteers for comparison. We would like healthy volunteers between the ages of 18 and 40 or those over 55 that are travelling abroad and require the yellow fever vaccine who are willing to give a small amount of blood and receive the vaccine. Three further blood samples would be required, one 7 days later, one 14 days later and one 28 days later. The vaccine is being administered free of charge to those that are participating in the study. Headnorth North Pole expedition reaches North Pole successfully. 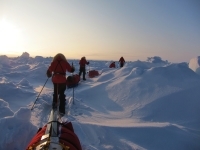 Gane and Marshall is the appointed tour operator for the Headnorth North Pole expedition, whichtook place this April. Headnorth is the concept of Y.CO, a yacht charter specialist company and the sponsor for this polar challenge. Our polar guide Alan Chambers MBE led three rugby celebrities, three Royal Marines and three team members from Y.CO, who all skied the last degree to the North Pole – the top of the world! Congratulations to the nine adventurers. The North Pole challenge is an exceedingly tough expedition, which takes place in one of the harshest climatic zones on our planet. You can read about the successful expedition on the Headnorth website. To learn more about Gane and Marshall's North Pole and other Arctic expeditions, including our unique Into the Arctic with Alan Chambers North Pole taster trips, click here. We're very pleased to announce that we've just launched a new series of Australian self-drive adventures and guided tours, including the chance to visit Tasmania’s new Pumphouse Point hotel and ride the road in a classic airstream caravan. Visit our Australia pages for a series of journeys in the key regions of New South Wales, the Northern Territory, Queensland, Tasmania, Victoria and Western Australia. Our tours of Australia include self-drive itineraries, guided tours and a combination of the two, taking in the key highlights and hidden gems of the country, including Oz’s cosmopolitan cities, stunning beaches, amazing wildlife experiences and diverse landscapes. To complement our new Australia holidays, we've also prepared some exciting itineraries to New Zealand, combining the country's fascinating culture, heritage and scenery. Gane and Marshall are the official travel organisers of the Extreme Classroom series of events, in which special needs students embark on life-changing expeditions. The latest in the Extreme Classroom series was an expedition to Everest Base Camp, Nepal, in October 2013. Eight special needs students completed the trek to Everest Base Camp, accompanied by an extensive support team, including a BBC film crew. A documentary of the event, "The Highest Classroom on Earth", is now available on IPlayer. To learn more about our school programmes, click here. Recently returned after visiting the famous Historic Route in Ethiopia, Jeremy Gane saw for the first time some of the wonderful Rock Churches of Tigray. 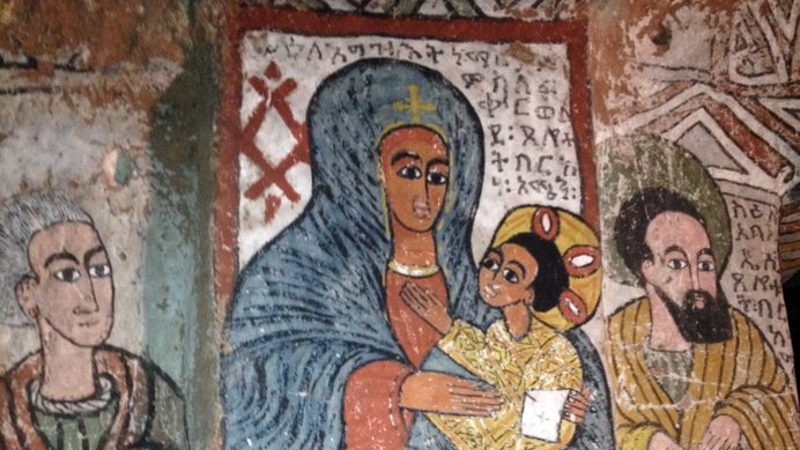 Carved between the 4th and 11th centuries AD, these churches (over 150 exist in Tigray!) 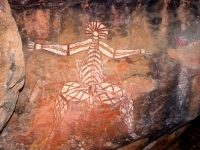 are found in caves, on mountain tops, and carved as semi-monoliths into the rocks of plateau and escarpment. Each church shows the incredible Christian devotion of the early Ethiopian church goers. Today the religious devotion is equally apparent and this year we were lucky to witness the end of Lent devotions and Easter being celebrated. Gane and Marshall will be organising a walking and camping expedition to Tigray soon. 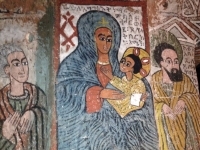 We shall also be organising several fully-guided tours around the entire Historic Route in Ethiopia including visits to some of the most scenic Tigray churches. Contact Gane and Marshall if you are interested to join one of these tours. Have a look at the album of photos from Jeremy's Tigray visit on our Facebook pages. 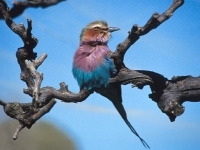 Special small group safari offers in Tanzania. Rongai6 Kilimanjaro Good or Bad? In order to maximise your safety and summit success chances Gane and Marshall now only offer Rongai 6 if it follows an acclimatisation safari or trek. We offer the wonderful four days Mount Meru Climb and also our unique Short Altitude Acclimatisation Safari to the Ngorongoro Crater Highlands. Meru takes you to 4565ms nearly 15,000ft. The Crater Highlands Safari will take you and your friends to over 3200ms - over 10,000ft - after a visit to world famous Ngorongoro Crater. Take the additional Crater Highlands option to trek up nearby Ol Deani, and then reach 3216ms/10548ft. or Loolmolassin and reach 3658ms nearly 12,000ft! Book this great value safari to take place before you climb Kilimanjaro so that you arrive on the mountain already acclimatised up to 3200ms./10496ft.! 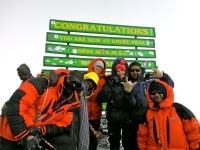 Or go for our great Meru-Kilimanjaro Combo taking you up Africa's fourth and Africa's highest mountains! 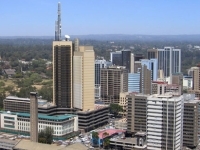 At Gane and Marshall we were shocked and saddened to hear news of the recent hostage incident in Nairobi. Our sympathy goes to all affected by the event. We would like to reassure our passengers travelling to or via Kenya that the country as a whole remains safe, and that this was an isolated attack. The Foreign & Commonwealth Office (FCO) has amended its travel advice to include mention of the hostage incident but is not advising against travel to Kenya. Our full statement regarding the situation can be read here. The team at Gane and Marshall were shocked to hear the recent news of an acid attack on two young British girls working in Zanzibar. Tanzania and Zanzibar are, on the whole, remarkably peaceful destinations, with attacks on tourists very rare, and attacks of the kind described unheard of. Dr Mark Smith CEO of IPADIO is to sponsor completely free of charge the streaming of film and blog content live from the Highest Classroom Everest Base Camp Expedition back to a variety of platforms in the UK such as the schools’ websites and Facebook pages. We shall also be able to record location, temperature, wind speed etc. and have those plotted on a Google Earth map. Students, parents and teachers back in the UK will be able to watch the progress of the expedition and see live postings and recorded postings from the expedition participants. Email alerts will automatically go out to subscribers announcing new postings. 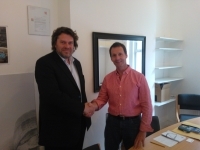 Mark told Jeremy Gane at their meeting in London that IPADIO is very keen to support projects such as the Extreme Classroom expeditions, which he believes are not only very exciting but also doing a very important job in helping youngsters who have had some major challenges to overcome. Gane and Marshall are the official travel organisers for the Extreme Classroom Project. 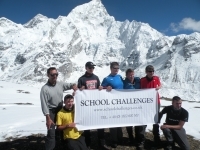 We have already organised expeditions to The Arctic Circle, to the African Rift Valley and in October 2013 a large group comprising special needs students, mentors and teachers will travel to Everest Base Camp. The expeditions are filmed by the BBC. 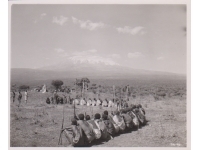 We have been given an album of 1940's black and white photographs taken by the production team on the shoot of the 1946 film "Men of Two Worlds" - a film that had problems enough during production, and which today gives a patronising and colonial viewpoint of East Africa. Richard Parker, Mt Meru and Kilimanjaro client of Gane and Marshall, receives our thanks for his kindness and foresight in giving us this exciting portfolio of 1940's East Africa. 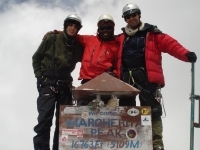 If you want to climb Kilimanjaro, then visit our web site at: KILIMANJARO Jeremy Gane, veteran of 21 Kili climbs and project manager of the Comic Relief celebrity climb, will help you choose your route and season, and he will personally look after your Kili booking. Gane and Marshall are the UK's most experienced Kilimanjaro climb operators. 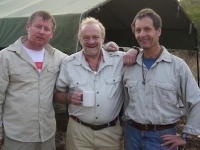 In July this year, Antony Worrall Thompson (centre) himself no stranger to damaged childhood, came to Tanzania specially to endorse the Extreme Classroom project and to cook a superb banquet to mark the end of the challenge . Antony joined the group of 35 adventurers as they completed a very tough challenge trekking across remote and beautiful Maasai country in northern Tanzania. All at Gane and Marshall were inspired by the way the students had worked with their teachers and mentors to overcome incredibly difficult and challenging childhoods. "It was very moving and instructive to see these students adapting to the near desert conditons of the Rift Valley floor, climbing mountains, meeting the Maasai tribe, playing the most memorable game of football at Gelai village, and then marvelling at the wildlife of Ngorongoro Crater. This was my highlight of 2012." says Jeremy Gane, director of Gane and Marshall and tour operation project manager for Hottest Classroom. If you want to visit this marvellous part of Tanzania, not on the normal tourist trails, then please contact Gane and Marshall. Yesterday the participants of ‘The Hottest Classroom’ arrived in Tanzania. The group consists of six un-teachable children, three sporting icons and three successful business dragons. In the land of the Massai, at the extremes of the equator... they all have one goal in mind! The children have severe emotional, medical and behavioural issues, written off as un-teachable. Many have troubled pasts and have been diagnosed with conditions such as autism and ADHD. The school’s principal, Trystan Williams believe that labels knock a child’s confidence or offer them an excuse to fail. “Only by challenging students, will they exceed expectations, some people will think I’m mad,” Mr. Williams admits! The expedition leaders are former Royal Marine Commando, Alan Chambers MBE, veteran of Britain’s first unsupported expedition to the North Pole. Also Dr Ed Coats who rose to fame in the race to the South Pole with James Cracknell and Ben Fogle. The challenge that faces the pupils involves self-belief, teamwork and the spirit to overcome adversity. Those who succeed will prove a point to themselves and those who have written them off. For the expedition leaders there is the nagging doubt that the doubters maybe right and these pupils are indeed lost causes. Catch the documentary series The Hottest Classroom on Earth, which will follow them every step and stumble along the way. I recently enjoyed a fascinating trip to Madagascar and what a unique destination this is! With a delightful choice of local accommodation, incredible scenery, unusual wildlife, colourful flora, welcoming people and delicious cuisine, I can highly recommend this remarkable destination. 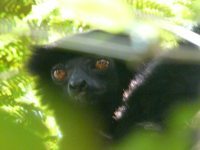 If you are perhaps considering Madagascar for your next holiday then please give me a call to discuss the wide variety of possibilities which are available to you. You can also view the new 12 days itinerary, which starts at £2095 including flights! Madagascar really surprised me so why not let this island surprise you too? Contact Sarah on sarah@ganeandmarshall.com or tel: 01822 600126. 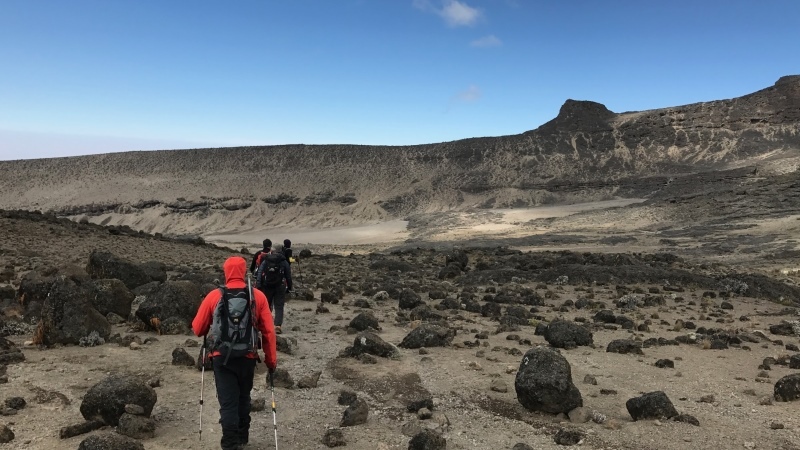 Jeremy has filed this report from his first day where he has been inspecting the route the group will take... Today we checked out the campsite at Longido, where the group will camp on Thursday. We then climbed through the bush and woodland of Mt Longido, our Maasai guide cutting a new trail as we walked, he lead us to a ridge and the most magnificent viewpoint. The scene before us was incredible… across the vast Rift Valley floor to the Nmanga border with Kenya, and our camp over 3000ft below us! Cloud obscured our views of Kilimanjaro and Mt Meru but we were climbing at the wrong time of day to get a clear image. This evening, at our Camp at Kitumbeine, I can see majestic Mt Meru rising to 15000feet in the distance. The climate has been a mixture of hot sunshine and occasional cloud cover, which has provided some relief. Here in the Rift Valley they are already experiencing some drought. We have seen lots of wildlife but it’s the wonderful scenery of this authentic, unspoiled Africa that will stay my mind long after today. Jeremy recently stayed at this lodge which has six solar-powered chalets on stilts overlooking the savanna and volcanic crater of Queen Elizabeth National Park while the silhouette of the Rwenzori Mountains rise in the distance. 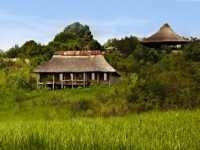 The lodge is an ideal stopping point between Rwenzori Mountains and QE National Park or Bwindi Forest for the gorillas. The main activity is trekking Kyambura Gorge in search of a troop of wild chimpanzees but you are also likely to see hippos, waterbuck and lesser primates, including baboons and red-tailed monkeys. Birding is excellent. Book at least two treks to increase your chances of sighting chimps. Game-viewing cruises on the Kazinga Channel are also available. Speak to Jeremy on 01822 600600 for a first hand report. 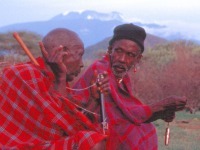 Our Light Mobile Safaris in Tanzania win very positive reports from our clients. This exciting way of seeing Africa is eco-friendly, and enables you to see people and places not seen on the average tourist itinerary. We can even (for a small extra charge) set up your own private camp in Serengeti, or Tarangire, or the Crater Highlands! 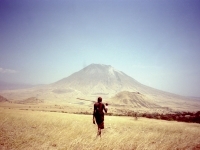 Why not ask us to design your itinerary for North Tanzania? We've safely returned from our trip from Tanzania last week. We know, the organization of the trip was very time consuming, but all the effort and time that you put into it has definitely played off. It was a truly great holiday, well above our expectation. Special thanks to Hassan (our driver) and Antony (our cook). They are not only great at what they are doing but also fantastic people and made the holiday very enjoyable. Driving us around from 6am, serving popcorn and meals on hot plates were surely something special, not to mention the great food and their excellent company! We loved every minute of the entire holiday, and we can't thank you enough to organize it at such a detail. Both the safari itself and the surroundings of Lake Natron was fascinating, it was definitely a good combination! We were also particularly impressed by the service we received from the Tanzania team. The fact that Sam took the time to meet us at the airport, personally to introduce us to our guide and explain exactly the arrangements that he had made for us meant that we immediately felt welcome and relaxed. He gave us the impression that our comfort and enjoyment were the only thing that mattered to him that week. He was also at pains to ensure that our trip was as we wanted it and not just arranged to suit him. The mobile safari was a wonderful experience for us all and gave us a real flavour of Africa. Although there was a fair amount of driving there was never a dull moment. The travelling was enhanced by our charming guide Hassan. As with Sam, nothing was too much trouble for him. He was knowledgeable and had the great skill of being able to impart that information without appearing patronising or giving the impression that he had answered the same questions hundreds of times before. With the possible exception of our enthusiasm for elephants, he seemed to share our excitement at everything we saw. We are enormously grateful to him. There was only one trouble with the camping and that was that we were made so comfortable and fed so well and generally cared for and looked after in such a way that inevitably the hotels were a slight disappointment. Anthony, our cook performed miracles – even baking a cake in recognition of our 25th wedding anniversary – how can you do that in the bush? Every night was memorable but not just for the food. The noises in the night are something we will never forget but giraffes wandering slowly past within yards of our breakfast table ranks pretty high as well. We are so lucky to have had this opportunity to see Africa so close up in the company of such delightful people. 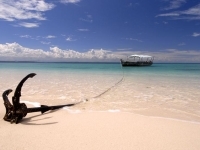 I cannot write without mentioning Zanzibar and Unguja Lodge. Although a very different experience from the safari they complemented each other perfectly. I cannot remember ever staying anywhere before which was so completely relaxing! I hope that we will be able to come back to you before too long; we will start saving now! From last year click here to see the report of the adventurous Light Mobile family holiday enjoyed by the Black family. This was an adventurous climb of Mt. Stanley in the Rwenzori Mountains of Uganda - fabulous, tough, and scary. Have a look at the photo album on our Facebook pages and let us know if you would like Gane and Marshall to organise your Rwenzori trek - great for botanists and those wanting to see simply the wonderful landscapes of the Rwenzori, without the need for a technical climb. Or we can organise your Mount Stanley Climb (NB partly technical), or Mt Baker or Weismann Peak. Of course we recommend a drive through Queen Elizabeth National Park and an amazing gorilla safari for afterwards. Please contact Jeremy Gane for more information. Or call +44 (0)1822 600 600. Coastal Aviation launch new daily flight between Arusha and Pangani; so it is now as cheap to fly to Pangani and The Tides as to Zanzibar. The Tides is an exclusive, eco-friendly beach lodge on the best of Pangani's beaches. Gane and Marshall Honeymooners get a very special deal. 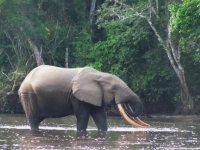 You may not have heard of Odzala-Kokoua National Park in the Republic of Congo but this wildlife rich area has just been opened up to tourism. The Western Lowland Gorilla is considered to be critically endangered, however the numbers that occur in Odzala are found at the highest densities so far recorded for this species. In the area of Ngaga Camp Western Lowland Gorillas live in groups ranging in size from 10 to 25 individuals. These Gorillas can be observed in two different ways, either by tracking a number of habituated groups using expert local trackers or by patiently waiting at hides on the edge of forest bais for family groups to forage. Additional forest wildlife includes: Guereza Colobus, Grey Cheeked Mangabay, Moustached Monkey, Forest Elephant and Buffalo, Bongo, Sitatunga, Black fronted Duiker and many more species. Fly to Brazzaville by Air France via Paris or Kenya Airways via Nairobi, thus making the destination easily combinable with an East African safari. Accommodation is in sensitively constructed camps that blend into the forest environment. 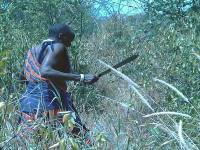 Lango Camp is nestled on the outskirts of Lango Bai and Ngaga Camp in the heart of a forest. Each camp will have just six guest rooms with a wraparound walkway. 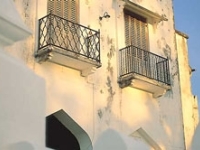 Set departures of six nights / seven day or three night / four day itineraries are offered. Prices start at around £3450 per person based on twin share and includes all flights, accommodation, meals and activities from Brazzaville. Chris Fox veteran safari operator and camp owner outlines his ideas about ethical tourism in Tanzania, and in particular at his wonderful, remote, Mwagusi Safari Camp in Ruaha National Park, Tanzania. Gane and Marshall are developing a new range of fair trade eco holidays and we expect to announce the first itineraries within a few months. Each part of these special Africa holiday programmes will be assessed to ensure that ethical tourism policies are developed and adhered to. Why not register your interest on our web site and we shall email you the details as soon as they become available. Alternatively please contact Jeremy Gane to start planning your fair trade eco holiday right now.